The combination of the fastest lens in its class and the high sensor resolution expands the flexibility available for subject composition and, thanks to the integrated digital zoom function, also enables you to choose subject framing corresponding to focal lengths of 28, 35, 50, and 75 mm while always preserving the original 47.3 megapixel resolution image from the full sensor in DNG raw format. The new Leica Q2 is the only camera in its class to feature protective sealing against dust and water spray. This means that it can brave even the most unfavorable weather conditions without the need for any additional protective measures. Shoot anywhere at any time without second thoughts and concentrate fully on what really matters – getting the perfect picture. With its digital zoom of up to 75 mm, the Leica Q2 can make a perfect companion for street photography as well as shooting architecture, landscapes, and portraits. A simple turn of the integrated macro mode dial on the lens quickly pulls the Leica Q2’s close-focus distance down to just 17 cm to capture close-up shots with razor sharp precision, while right beside it is a locking focus ring for instantaneous switching between manual and auto focus modes. The newly developed, high-resolution OLED viewfinder has a resolution of 3.68 megapixels. The high resolution provides an ideal view and live preview of your subject at all times, with improved image depth and higher contrast. Surpassing the previous generation’s LCD EVF technology, the brightness of each individual pixel in the OLED viewfinder of the Q2 is independently controlled – yielding improved contrast and color depth. Power consumption remains low even with the strength of the high-resolution EVF. The viewfinder is activated as soon as the camera is brought up to the eye and shows the subject reliably and without any perceptible delays. The new Leica Q2 also offers a unique and intuitive handling concept, such as its redesigned push-button diopter setting dial on the back of the camera that prevents inadvertent shifting of the compensation value. To ensure you never miss a treasured moment, the Leica Q2 boasts an autofocus system that sharply focuses on your subject in 0.15 seconds, the fastest in its class. With its high-speed burst shooting rate of an impressive 10 frames per second at the full resolution of 47.3 MP, the Leica Q2 is built to capture what you want, whenever you need. The combination of the excellent Leica Summilux lens and the ability to capture video with 4K resolution unlocks new creative perspectives. For brilliant, true-to-life moving pictures, the new Leica Q2 offers a 4K video mode with 3840 x 2160 pixels and frame rates of 30 or 24 frames per second. Alternatively, video footage can also be captured in the familiar full-HD format with 120, 60, 30, or 24 frames per second. The new Leica Q2 features energy-saving Bluetooth connectivity for fast, wireless connection. After setting it up for the first time, this connection is automatically saved and remains available when the camera is switched off and on again. 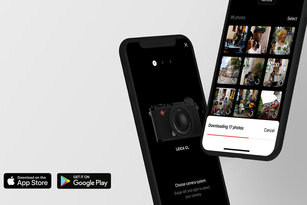 In combination with the Leica FOTOS App, this makes it possible to quickly and easily share pictures with the whole world on social media at any time, change numerous camera settings from a smartphone, or even remotely control the shutter release of the Leica Q2. Reduction to the essentials while fully exploiting all available potentials: the new Leica Q2 is fully committed to the principle of uniting the top-level quality and fundamental functionality. Only the highest quality materials are used in its construction to ensure maximum endurance and a long service life. The camera body is made from magnesium and offers a confident and rugged, yet exquisite, feel. The New Leica Q2 features a distinctive thumb rest paired with a sophisticated diamond pattern leather trim to ensure optimum grip and a quintessential elegant charm. In contrast to the Leica Q, and following the design language established by the Leica M10, the new shutter release button of the Q2 solely controls the camera’s On/Off setting – giving users a confident feel and satisfying haptic feedback that helps keep them in tune with their camera.